Q: As a coach of grade 8/9 girls, I see this call all the time from the officials - kicked ball just because it hits someone's foot, intentional or not. 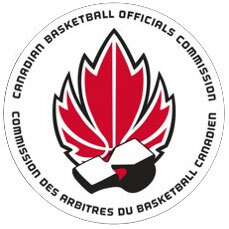 Rule 4 Article 13.2 of the FIBA rule book says: A player shall not run with the ball, deliberately kick or block it with any part of the leg or strike it with the fist. However, to accidentally come into contact with or touch the ball with any part of the leg is not a violation. I even showed this to a referee today and his response was that it was still a violation if it resulted in an advantage to the team 'kicking' the ball, even if it was unintentional. Seems pretty straightforward to me - It is NOT a kick ball unless it is done deliberately, regardless of any advantage gained. Can I please get a ruling on this? A: You are correct, per Rule 4, Article 13.2, in order to be a foot ball, the action must be deliberate. The fact that an advantage may or may not be gained when the ball accidentally goes off a player's foot has no bearing when ruling a foot ball.